A hugely respected and talented guitarist, Andy has performed all over the UK, Europe and beyond to much critical acclaim. Even being invited to take the lead guitar role for Steve Hackett (Genesis) with whom he performed some memorable shows. Andy is an in demand session player playing on both electric and classical guitar on recording projects. Many are called but few are chosen, but Andy is critically acclaimed all over the world for his performances in Letz Zep. Andy is meticulous in his representation of the works of Jimmy Page. Being a huge fan of Zeppelin and Page, he understands the demanding role of recreating this great music. The many and varied styles required to make a completely convincing portrayal of Page at his awesome best! 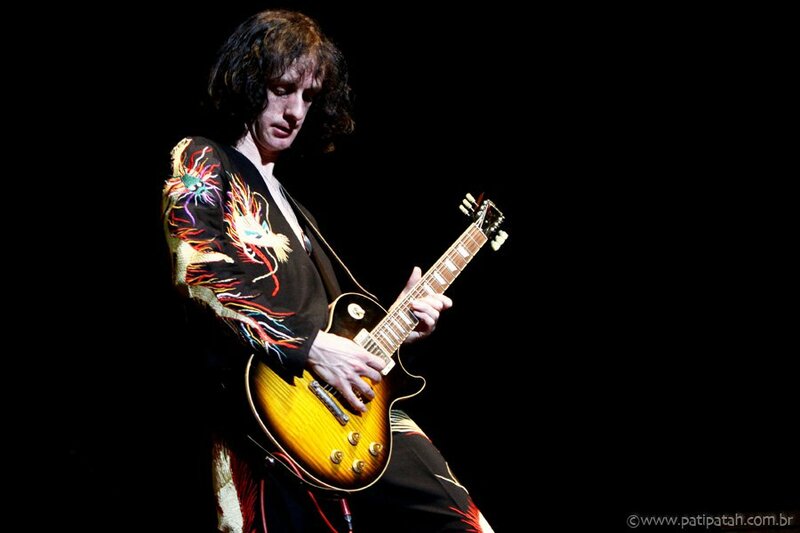 Page is considered by many to be the greatest guitarist of all time and Andy now uses 9 guitars to fill the full spectrum of sounds created by Page and to portray the various styles incorporated in the music of Led Zeppelin. Andy's attention and dedication to every smallest detail can clearly be seen in his fine collection of hand embroidered Dragon Suits, so synonymous with the Jimmy Page visual live performances.
' 'Yeah!...Cool Man' - Jimmy Page.
' 'The sound, the playing, very very close' Lionel Ward - Jimmy Page guitar tech.